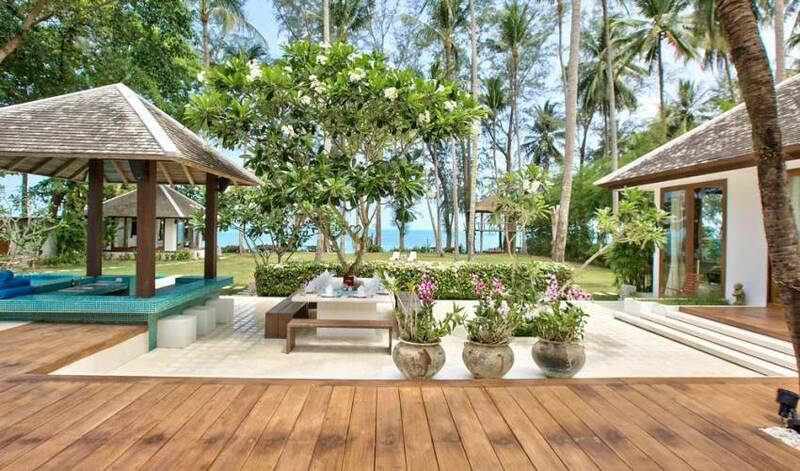 Ban Suriya sits on a former coconut plantation on Lipa Noi ("Little Palm") beach on the peaceful south-west coast of Koh Samui. 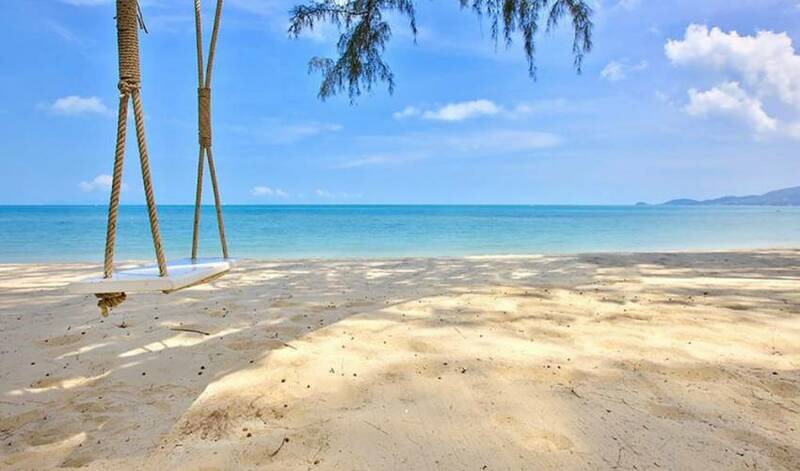 Lipa Noi is regarded as the most unspoilt, and best swimming beach on the island and has wonderful views of Angthong Marine Park and stunning sunsets. 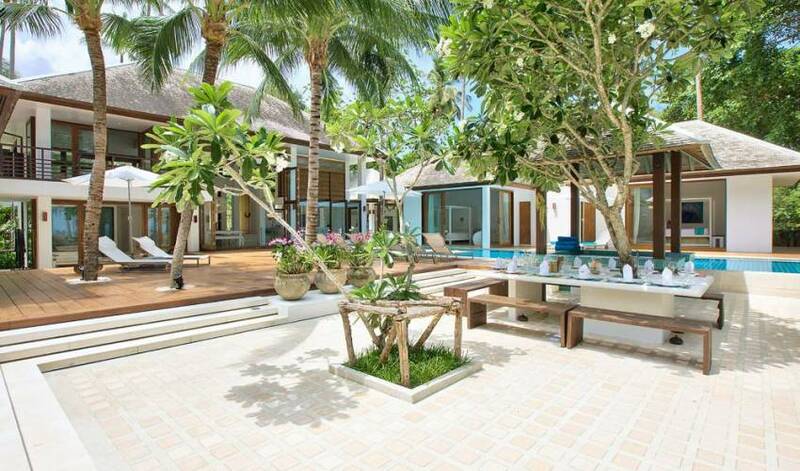 Ban Suriya is a deluxe contemporary style villa, the Villa is almost exclusively white, in contrast with the use of vibrant colours in accents. It is undoubtedly a stylish person's paradise. 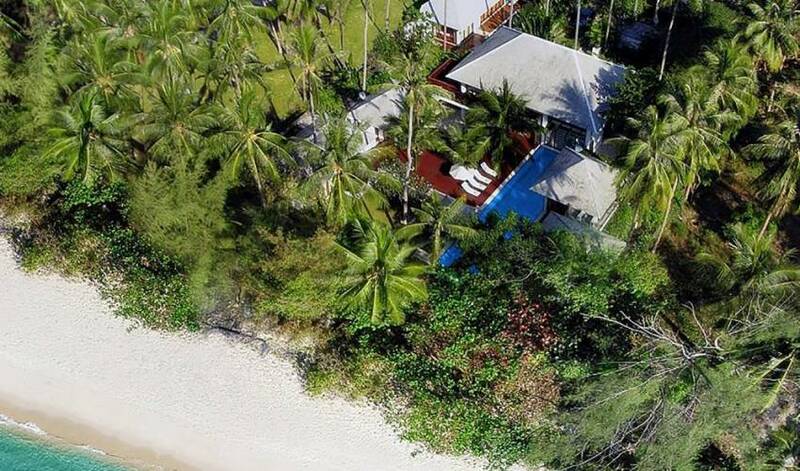 Built on 3,200 sqm of expansive beachfront land, the villa features superb tropical gardens and extremely spacious accommodation, comprising a large main living villa, a gym and games annex and 6 private bedrooms, all with en-suite facilities. The villa sleeps up to 17 and has four full-time staff and a chef, to ensure your stay is the most luxurious, relaxing and memorable vacation. 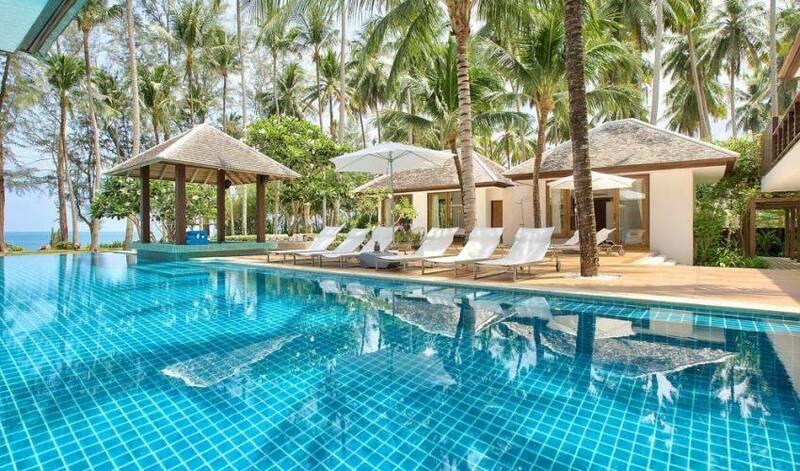 There is direct access to the beach, a 20 metre pool, a separate shallow plunge pool, which is ideal for kids. 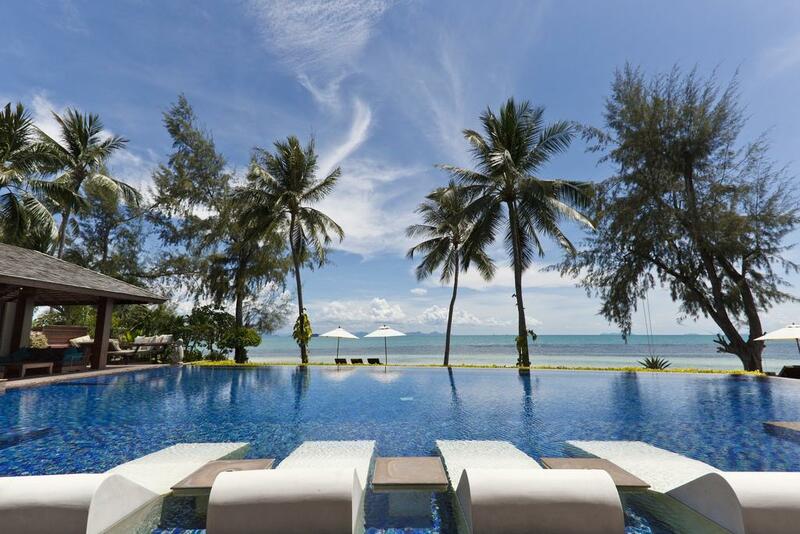 There is also a swim up bar, poolside BBQ, a sunset bar on the mezzanine terrace, a sunset deck at the tree house, hammocks, sun-loungers and parasols in the garden and on the pool decks. There is no limit to the entertainment options within the villa. There is a 4 by 3 metre outdoor movie screen with beanbag seating for 16 and an iMac with over 6,500 iTunes and iPod dock linked to BOSE speakers in the main villa and by the pool. A beach volleyball net, table tennis table, "baby football" and a pool table offer additional activities for children and adults, alike. The in-villa Spa room plus three additional dedicated massage areas throughout the villa, offer guests many options to be pampered during their stay. There are multiple dining locations - in the main villa, by the pool, in the tropical gardens or candlelit on the beach - making this the perfect villa to celebrate special occasions with a group of friends or family. The main living villa is extremely spacious with a modern kitchen for the resident chef opening on to a large dining area, which comfortably seats 16. The resident chef cooks with some of the freshly grown local herbs, fruit and vegetables from the villa's very own kitchen garden. The sunken library has an underwater window to the pool and a wide selection of books and board games; the TV room has a 42 inch TV with satellite, a DVD player and a huge selection of DVDs. 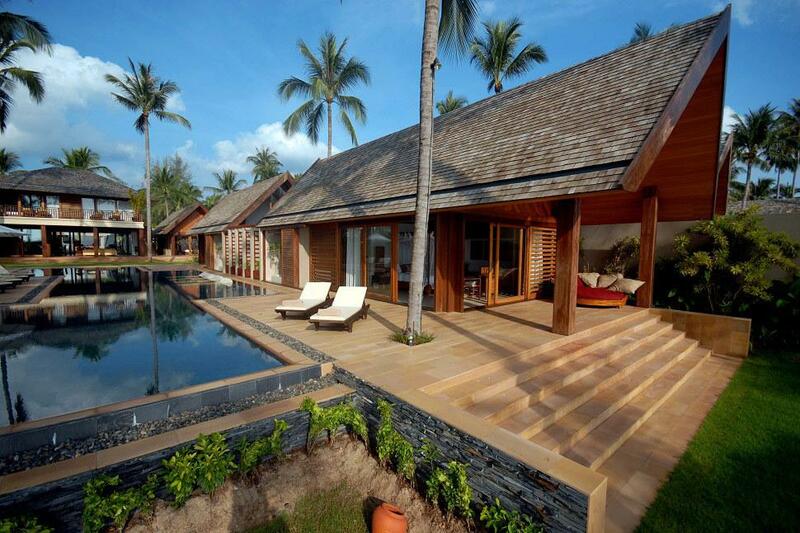 The Spa room is also located in the main living villa. The bar area, has a wine fridge which is stocked with the in-villa wine selection and is located under the feature cantilever stairs that lead to the mezzanine floor. The luxury mezzanine lounge is ideal for pre-dinner drinks, with a sunset bar and pool table on the terrace. The study area has an iMac with internet connection for guest use. 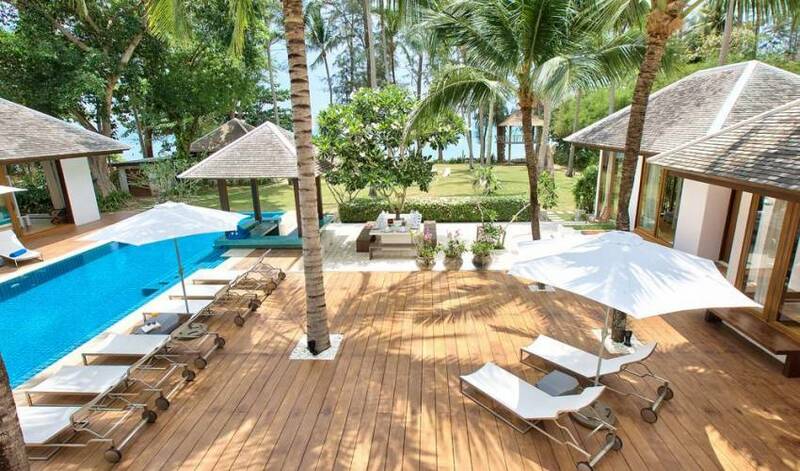 There is broadband wireless throughout the entire villa, with coverage to the beach. The gym and games annex is separate from the main living villa. The gym is fully equipped with weights, mats, machines, a punch bag and a BOSE Ipod speaker. The gym has direct access to the plunge pool. The games room has a 42inch TV with satellite, a DVD player plus Nintendo Wii and Playstation consoles. Each of the 6 private bedrooms has a unique outlook. There are 5 double bedrooms and 1 twin bedroom with an additional 5 single pull-out beds to allow younger children to sleep in the same room as their parents, if preferred. Additional cots for infants can also be provided free of charge. The Suriya bedroom (Thai for "sunshine") has a four-poster double bed and en-suite shower room, as well as a private lounge, and a massage and bath area with access to a secret cactus garden. The Butterfly bedroom is adjacent to the Suriya bedroom and has a double bed and en-suite shower room. 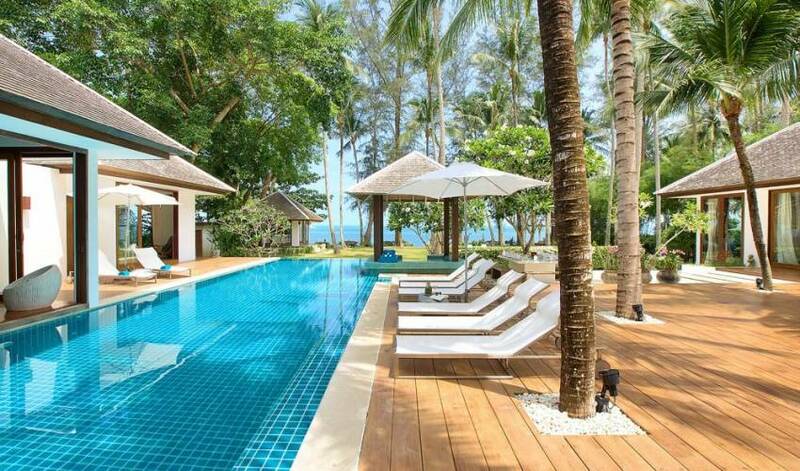 The Suriya and Butterfly rooms open on to the main pool deck. The Aqua bedroom has a four-poster double bed and en-suite shower room and opens directly in to the pool. The Peacock bedroom is adjacent to the Aqua bedroom and has a four-poster double bed and en-suite bathroom and opens on to the deck. 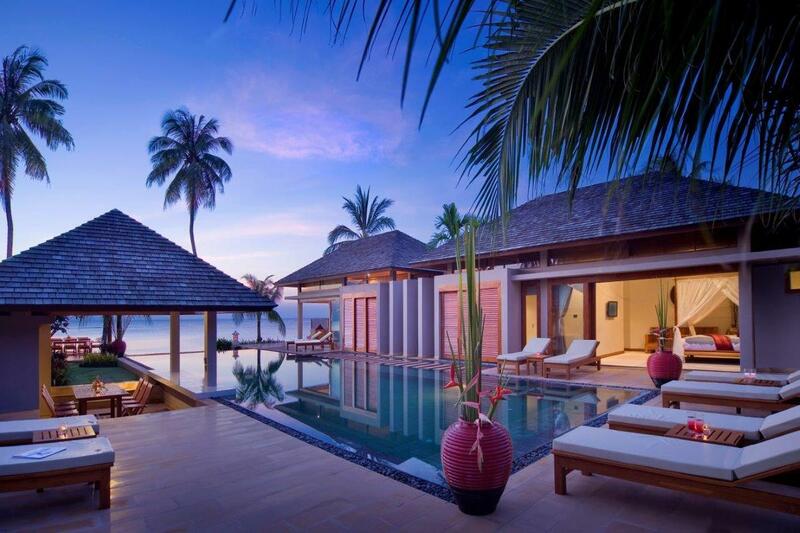 The Wave bedroom villa is set on the beachfront lawn, with a four-poster double bed and en-suite shower room. The Wave bedroom is literally metres from the sea. The Shell bedroom is within the gym and games annex. It has twin beds with 2 additional single roll-out beds and a large bath and shower room, and is ideal for children or singles. All 6 bedrooms are air-conditioned and equipped with hair dryers, safes, slippers and robes. The 5 double bedrooms have flat screen TVs, DVD players and I pod speakers. Tree house with massage sala and elevated sundeck.